Gone are the days when blog used to be an online journal where people used to write whatever they think of or want to. But, blogs are now used to make money online too. Yes, blogging is now a complete business model that you can choose as a full-time venture too as it can earn you well. I have been a full-time blogger for around a year, and this is my only source of income. I am quite happy with it, and it is much better than the day job I used to do. Coming to the point, when you have a blog, you write content, promote them, and do everything that helps you drag traffic to your blog from various sources. Once you start getting a good amount of traffic, you think of monetizing your blog to cash out your efforts. And, when it comes to blog monetization, Google Adsense tops the list. Google Adsense is an advertising program offered by Google which is subject to approval. And, the approval is quite strict. It is not always easy to get an Adsense account easily. Once Google approves your blog for Adsense, you can show the ads on it. The program uses techniques to show the ads that are relevant to the user browsing the blog. This is the highest paying PPC ad program, and almost every blogger tries to get approved for it. Knowledge in Adsense Monetization, A Long Stand in the New World! Many times some bloggers either don’t get approval or their Adsense account got banned. In such situation, many think of quitting blogging because they believe that they cannot earn money if they don’t have an Adsense account. But, the fact is Adsense is just one of the parts of blog monetization. There are so many ad programs and monetization ways that you can use to make money on regular basis. In this blog post, I am sharing top 10 Google Adsense Alternatives that you can use to monetize your blog. When it comes to Alternatives to Adsense, Infolinks tops the list because many bloggers are getting good income with this program. If you have a good amount of traffic, you can make money with this program for sure. The best thing of Infolinks is that the customization options it provides. You can customize the ads to a good extent to make it fit well with your blog content. You can check out a detailed post about Infolinks here. I prefer Chitika after Infolinks as Google Adsense alternative. The best thing about it is that visitors only see the ads if they come from search engines. There are options to edit your ad’s text color, URL color, and border color that enable you to make the ads fit well with your content. However, Chitika is an excellent alternative of Adsense; many publishers claim that the performance of the ads is low. Media.net is the joint venture of Yahoo and Bing, and this is the reason it is also known as Yahoo! Bing network. You can customize the ads in terms of size, color, etc. The approval process is not that strict. You can easily get approval, and run ads on your blog. Nowadays, publishers who don’t get Adsense for some reasons are heading towards media.net as it is a product of two big brands. The trust factor is there because of this. $100 via Paypal or Wire Transfer. 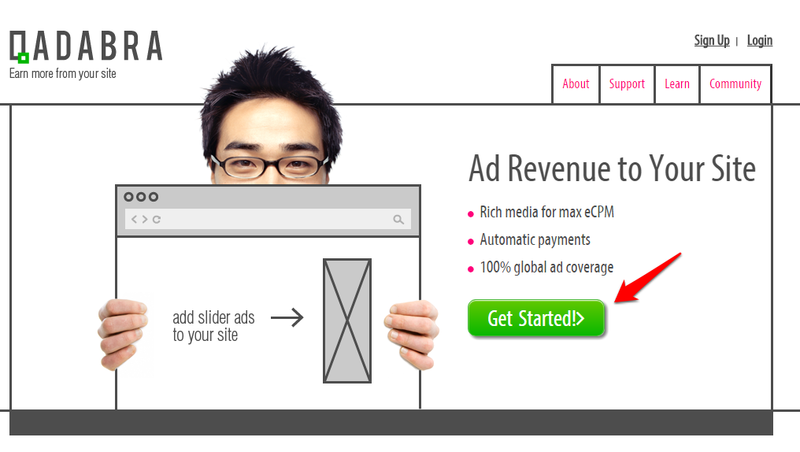 Clicksor is another alternative to Adsense. The ads look very close to Adsense, I mean the ads look like Adsense ads. It seems to be the combination of Adsense and Kontera. Its text ads look like of Adsense, and in-text ads look like of Kontera ads. The thing I don’t like about this ad program is that if you want to get payment from them directly into your bank via Wire Transfer, then you have to wait a lot because the minimum payment threshold for this mode is $1000. However, if you want to get the payment via Paypal or check, you just need $50. Programs mentioned above are pretty like Adsense that works on PPC model primarily. Now, I would like to introduce Amazon Affiliate Program as one of the best Adsense alternatives. If you have right kind of audience, nothing can beat affiliate marketing. And, when it comes to affiliate marketing, you cannot miss Amazon Affiliate Program as there is a huge number of publishers using this and earning in millions. Once you are approved for the program, you can get affiliate links of products, and promote them on your blog using various ways such as by writing products reviews, putting their links in the sidebar or within the posts, and sending the product links via newsletters. Though the ad programs including Google Adsense are good ways to monetize your blog, direct advertising is also an awesome way to make fast cash. Link Placement within the content. The biggest hurdle in direct ad selling is the dofollow links. Google is very strict towards selling dofollow links because such links manipulate search engines to increase the search ranking of websites. Therefore, make sure you deal with the clients who are fine with nofollow links, and they are more interested in brand promotion rather than getting SEO links. We at www.techtricksworld.com offer various advertising solutions to the clients who are fine with nofollow links. You can check out our Advertising page here. In my opinion, direct ad selling can earn more money than any other advertising platform. But, you need high traffic stats and good engagement on your blog to attract more clients. BuySellAds is a great program to monetize your blog. You need enormous amount of traffic on your blog to make huge cash out of this program. In the past, I have used BuySellAds, and I noticed that the blogs of Online Money Making niche are the best suit to this program because most of the advertisers of BSA are of the same niche. But, that is not like if you have blogs of other niche, you won’t earn. You can still earn if you have good traffic. When an advertiser buys space on your blog, you can either accept or reject from BSA dashboard. The only downside of this program is they keep huge commission with them and that is 25%. I don’t have any experience working with ReveneueHits yet. But, reading about it here and there made me think of using it. It is quite different from other advertising platforms. 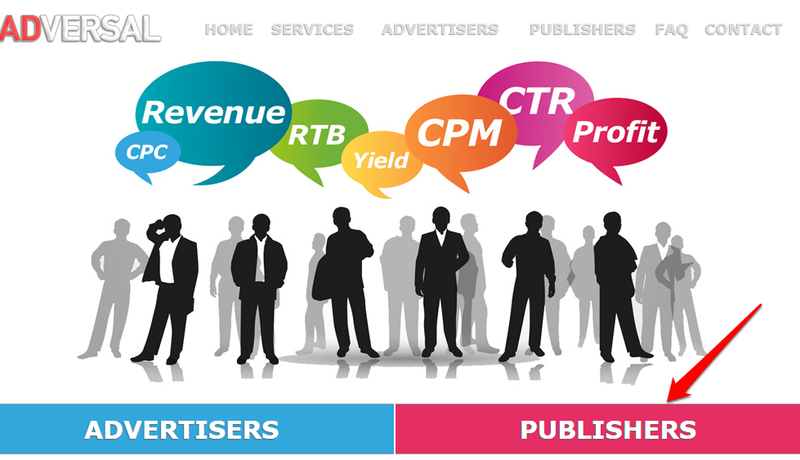 It is a performance based Advertising network that works on CPA (Cost Per Action). It displays the ads on your blog depending upon the traffic you get. It is a geo-target contextual ad network and adjusts according to the traffic you get on your blog rather. It seems promising as many bloggers are writing about it. It can be a good alternative to Adsense. $50 via Paypal, Payoneer, Wire Transfer. To earn from any ad programs you need a good amount of traffic on your blog. But, while approval a very few ad programs ask for traffic stats even Adsense doesn’t ask for it. One of such ad program is Adversal that asks for minimum of 50,000 page views per month on the blog. It is proved to be a great Adsense alternative for many publishers. Adversal has better CTR than many similar ad networks, and that makes it a good alternative to Adsense. I have been reading quite a lot about this Ad program recently. Many bloggers are recommending it as the best Adsense Alternative. 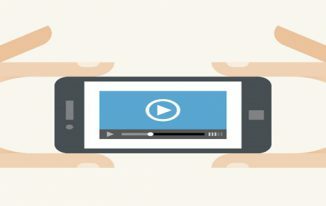 Like RevenueHits, Qadabra is also a performance-based ad network that offers rich media for max eCPM. The best thing about this Ad network is that you can get automatic payments. You don’t need to reach to a payment threshold. You start getting paid from $1. Monetization is very important because without it you cannot earn anything from your blog. You have to find out which ad network is doing well on your blog. So, test out these above-mentioned ad networks, and analyze which one performs better on your blog(s). Once you finalized one or two, make them your primary monetization methods. These are the best Google Adsense Alternatives I can recommend. However, there are many such ad networks available online. In my opinion, Google Adsense is still the best platform to make money from your blog even if you have medium amount of traffic, specifically the search traffic. But, for some reasons if you don’t get Adsense account, don’t get disheartened because Adsense is not the whole world of advertising rather it is just one of the ad platforms. You can still make money using various ad networks as mentioned above. Let me know which one of these you are using on your blog(s). Thank you so much for visiting the post instantly after publishing. BSA is good for sure. Infolinks is good too. Though there so many alternatives we have but Adsense still is the best. I don’t have any clue about Cuelinks. I will surely check them out soon. Qadara is best and evergreen but it’s not working now a days ! Hello, What is adsense process… I am totally confuse and also depressed very much now. Please help me. First i create a blogspot account with blogspot domain and after 50 post i applied in adsense they rejected me, After that i use my custom domain and after 15 days i reapplied a new website approval application. About 15 days letter they massage me.. Congratulation Your Google AdSense application has been approved. You’ll soon begin to see relevant Google ads appear on khushduniya.in. I was happy and i fix some ads for add gadgets box in adsense. But four to five days no ads shown. Then i think that i should change hosted account to upgraded and i use access and autorization box and apply there for my new domain only but platform is blogger yet…… Then i received a massage from adsense that is:- In order to complete your request to show ads on your own website, you need to implement the ad code on khushduniya.in. Your upgrade request can only be reviewed once your ad code has impressions on that domain. . Now what i do really i am very dispersed. I got mad if it will not approval . Any body please help me. Without you no body can help me….. Please help me early.. One more thing.. That when i write any post and without saving i use preview mode then every ads are showing. Please contact me. Yes, you have to add the ad code on your blog. Just go to Google Adsense dashboard. Create an ad unit, and add in the sidebar or anywhere on your blog. Google will reply about the approval or disapproval within a week. It is important to ad the code because Google will be able to track the activity of the ad you put on the site. So just do it, and wait. Adsense just send me one more massage form email that is..
Help AdSense stay useful for everyoneBy complying with AdSense policies, you’ll ensure a high standard of quality for advertisers and users, and earn more revenue in the long run. AdSense works well because it equally balances the interests of publishers, advertisers, and users. By adhering to our policies, you’ll help maintain the value of AdSense for everyone. Avoid placements that may lead to accidental clicks (for example, avoid creating content that looks similar to ads on your site). Make sure you have the rights to any content you monetize (for example, don’t use copyrighted content). Keep your content family-safe. Watch this video for a more detailed explanation of non-family safe content. Remember, it’s a good idea to review our policies periodically to make sure you’re in compliance. They wrote to you these so that you are aware of the quality guidelines. You should not show ads in way that looks spam and you get clicks from visitors in a tricky manner. Just add the ads in the sidebar now. And once your AdSense is approved fully, let me know I will suggest you where to add the ads. Hello bhaiya, I am present with one more problem that. I have three blogger blogs. There is main khushduniya.in and other are assumed. I put the one adsense code in other blog which is for khushduniya.in then i saw that there the ads work properly and showing. I delete just that. Now my question is that why are the ads showing in my other blogs but not real blog. Please tell me as soon. After Google said to add the ads on your site, did they email you about approval or dissapproval? Then wait for a few days to get the reply. Ad doesn’t show on the sites that are banned from Adsense, but your blog is not banned so just wait for their reply on approval. Once it will be approved, the ads will be showing. Your AdSense account is now fully activated. Within a few hours you’ll begin to see live, relevant ads, and can start earning money from your online content. Great to know that. Congratulations. Thanks Atish for sharing this Inforamtion. Before reading this post I only aware with Adsense and Infolinks. Its good to know about other tools for online earning. Thanks for coming by Bharat. Good that you came to know about more such ad programs. Keep visiting. Nice to see your topics . Very imporant topics that you discussed nicely . Thanks for coming by. Google Adsense is indeed the best, but when you don’t get it, you can surely try others to make money. Happy Valentines day to you too bro. Awesome post. This is greatly helpful for bloggers who rely on Adsense. They can use these all with them or can use them if they have adsense disabled. Adsense is very strict and we hear the news every day about someone’s Adsense disabled or few are not getting approval. In that case, these options are too good. A few of them especially the first one is growing at such a faster speed I am afraid after sometime it may fully replace the number one pay per click ad network. I have tried a few of them and never felt any problem in terms of income. The main challenge is to decide either to put any of them along with Google Adsense and earn where Adsense does not allow to earn..
At least one should have registration of a few of them to switch to them as and when need arises because only cancellation of Adsense is not the situation when one should switch; there may be some other situations as well like maximizing monetization or products nature demand some other kind of network. Many thanks for sharing this quite wonderful resource. Thanks for your views. There are many situations when we can use these monetization alternatives to Adsense, and make money. I have used almost all of the networks you have shared. Chitika is almost worthless. Medianet and BuysellAds can be a good alternative. You have not mentioned about Taboola. It is also a good source of income for bloggers. Infolinks and Taboola can be blended with Adsense on your site to boost up your income. Direct Advertising and Affiliates can be a huge turnaround if used intellectually. However, sponsored posts, reviews and links can also boost up your income. Try putting ads below the post title, at the end of the post, and one in a sidebar or next to your logo at the right. try changing ad positions every month to know what works the best for you. Some great alternatives, I have tried some of them but haven’t heard about few of them too. So definitely gonna give some of them a try. Other than using services, direct advertising is another thing you can try to make money from your blog or website. It’s a bit troublesome because you have to do the communication and bargaining part but the returns could be significant. Thanks for sharing your views. I don’t find direct advertising troublesome because to make money talking to clients is worth it. A good list of Adsense alternative to the bloggers, in my experience, getting approval from Infolinks very easy but getting approval from Media.net and BuySellAds is very difficult because they have some conditions like minimum 50K traffic and they approve account which has more US traffic. Thanks for sharing this information, I just shared my opinions about BuySellAds and Media.net, see you soon with another article. Siddaiah Thirupati recently posted…LeadPages VS Thrive Landing Pages: Which Is The Best One? Indeed the BSA is very strict while approving blogs. They need to good amount of traffic. But, Media.net is comparatively easy to get approval for. Very interesting ideas, here. 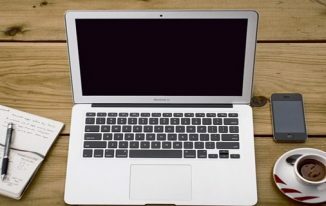 You’ve pretty much run down the list of the best ad services to use for monetizing your blog. I’ve never used any advertising on my blog, but I do monetize it because I’ve developed my own info products, membership services and coaching program. I promote all those things on my blog. But if you don’t have any of those things, then you do need to rely on advertising and affiliate marketing. You’ve given bloggers a really good starting point here. I have students and clients who will be interested in this information, and I’ll be happy to share this with them. Which of these have you found best. I know you like Google Adsense a lot, but you said your favorites are Info Links and Chitika. Amazon Affiliates are great but not everybody can be an Amazon affiliate, such as me… I live in a state that Amazon has blacklisted for affiliates. Yes, I know about you that you have so many own products that you promote on your blog. That is the best thing. Google Adsense is the best for sure, but Infolinks and Media.net are the ones that I like too. Oh, I haven’t heard of such thing is going on for Amazon Affiliates. Thanks for the info. But, what is the reason they have blacklisted that particular area? Amazon has been required by some states to collect state tax for Amazon products. Amazon insists that states (in the U.S.) have no right to do that, so they have blacklisted certain states in the U.S. so that people residing in those blacklisted states cannot be Amazon affiliates. Some of the bigger states that have done this (like New York and California) have not been blacklisted, even though they collect the tax. I guess their markets are too big to blacklist … ??? Anyway, I cannot be an Amazon affiliate in my state (Maine). There are others, too. Thank you for sharing the info, Donna. Adarsh Mehta recently posted…Website Where You Can Watch Movies & TV Shows For Free! I think Chitika is the best alternative of Google Adsense. because both are providing almost similar commission rates. What is the best Adsense after google, who provide high money.? Thanks a ton Atish for your great article. I was thinking from a long time that what i can use as Alternatives of google adsense. I hope that this will work for me. Many many thanks to Atish! This post has been useful for me since I am seeking for such as posts. I’ve heard Adsense before, but you’ve provided new ten (for me). Your post will suggest to monetize our blogs without doubt. Hi, Atish Ranjan, Fantastic Post, but can you tell me now? If we I am using Google AdSense and I want to insert another advertisement ads, So I Can Do it or No. Thanks. Indeed a Great post Atish. Yes, Adsense is the best for sure. These alternatives come into use when you don’t get AdSense for some reasons. However, Affiliate Marketing can generate much more than Adsense if you it right. .A good list of Adsense alternative to the bloggers.I only aware with Adsense and Infolinks.Its good to know about other tools for online earning. Huge list of Top AdSense alternatives. I am gonna try a few of them. I also wanna try out Google Ad-sense and your post will really be a great help. Thanks! Amazon Display ads : one of LOW CPM ad network. Bidvertisor and Clicksor: serve low-quality ads, so your site may be flagged as malicious. Viglink, Skimlinks, Infolinks, Chitika: Low rates. Infolinks makes blogs look too busy when they use the inframe and infold ads. RevenueHits is a SPAM ad networks. You can check it’s reputation on the internet. Adversal, Adsoptimal, Media[. 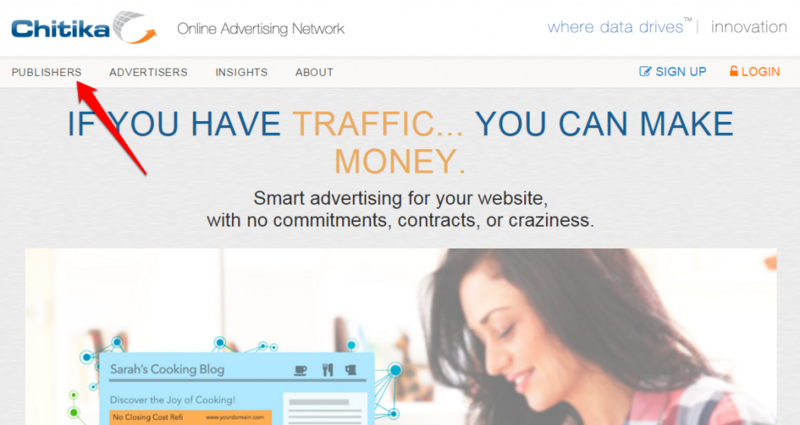 ]net are still BEST high paying Google Adsense alternatives for our blog. They have better designs, which provides better result next to AdSense. From my experience, I would like to say, don’t limit yourself to any one AD NETWORK. Try other ad networks and see which one work the best with your micro-niche blog. Since you are trying micro-niche blog, try monetizing with affiliate products. I would recommend to you & for others to try more network, and figure out which one is working best for their blog type. Thanks for your views on different ad networks. It is true that no PPC ad program can beat Google Adsense, and bloggers go to other networks when they either don’t get Adsense or their account is disabled. 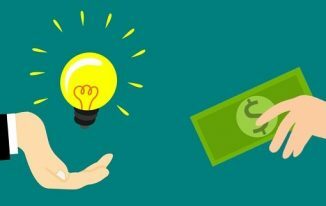 Of course, we should always keep on trying to find out the best ways of monetization and figure out which are working well, and then continue with them. Thanks for taking time to share your honest opinion. A great post for the bloggers who want Google adsense on their websites. The google adsense is surely one of the great method of getting earnings through blogging. Once my Adsense account was disabled because of invalid clicks that are done by some bad guy. So, I tried to appeal Google for the same telling everything with all details. And, after 1 week, I got my Adsense account back. This is the method you can try to get back your Adsense account. Good luck. Have a great time. I now do not use Google AdSense. Alternative sites now that I use is RevenueHits and Poptm. Minimum payment is only small. According to the list and my knowledge media.net is not a good option in India as they are not providing a good return while chitika is better than media.net ya infolinks are good but Adsense is far away from these. If you have decent traffic than you can move to tribal fusion which is also a excellent option. I used many adnetwork but adsense is safe and best for the bloggers. I appreciate for the great list. But adnetworks liks infolinks, Media.net are the best in case bloggers won’t get approved by the Adsense. So use these only there are best and trustworty. 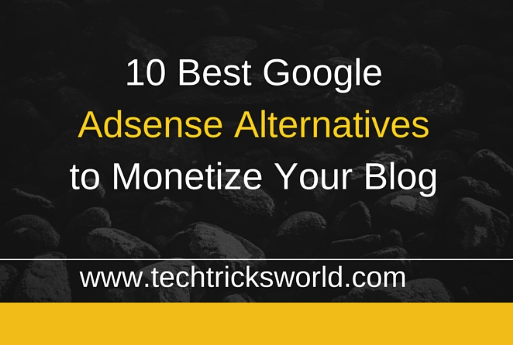 These are just alternatives which you can use if you don’t get Adsense for any reasons. Adsense is still the best PPC program. And, Adsense pays on CPM basis too. It is great. Google AdSense still stand out to be the best amongst advertisers but the fact remain getting into AdSense this day is becoming tougher every minutes even the chance of maintaining the account after approval is thin. Many bloggers don’t really depend on AdSense as their source of their online imcome despite the fact it is the best, rather they moved into affiliated and I believed these are what they first put into consideration before they finally take the decision about affilliated product they should join.